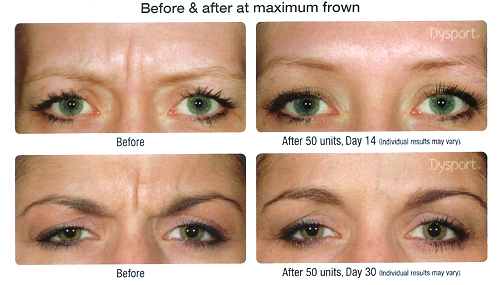 If you are looking a bit grumpy and tired with frown lines, prominent crow’s feet and lip pucker lines, Botox Cosmetic or Dysport treatments are an easy way to enhance your appearance. These treatments can give you a relaxed and rested appearance within a matter of days by erasing unwanted lines and facial wrinkles. Botox or Dysport treatments are simple and almost painless, performed with very small injections into facial muscles that cause them to relax and wrinkles to fade. 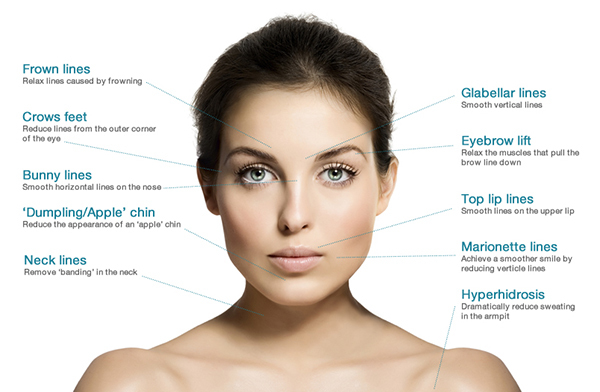 The injections are very precise and affect only a few muscles of the face. The result is a relaxed, less-wrinkled appearance to the skin. Both are variations of botulinum toxin, a medication used to relax the muscles, but the two products are made by different companies. Having options means better pricing and a product that works just right for you. Results can be further enhanced with the addition of soft tissue fillers such as Restylane, Perlane, Juvederm, Radiesse, skin treatments, eyelid surgery, and chemical peels can be used together with Botox or Dysport to achieve the optimum result. Successful injection of Botox Cosmetic or Dysport requires skill, experience and judgment to perform the treatment safely and effectively. Dr. Allen Strasberger has over 25 years of experience with both. Botulinum Toxin can also be used to improve the appearance of naso-labial folds between the nose and lips, and the fine lines above the lips. Vertical muscle bands in the neck can also be treated. New uses for botulinum toxin continue to be investigated for their safety and effectiveness. Millions suffer from excessive underarm sweat (hyperhidrosis). It’s frustrating, embarrassing and a nuisance. Excessive underarm sweat is a daily struggle, and it can interfere with nearly every aspect of your life. 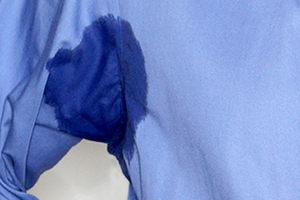 Excessive underarm sweat can cause anxiety at work, embarrassment in relationships and social settings, and frustration over constantly ruining clothes with sweat stains. Excessive sweat can also have devastating effects on your emotional well-being and self-image, and impact how you feel about yourself and even how others perceive you. In fact, in a large consumer survey, people said that underarm sweat was more embarrassing to them than being overweight, having acne, cold sores or dandruff. If you are bothered by your underarm sweat, you’re not alone. It’s more common than you think. In fact, 1 in 5 adults in the U.S. is bothered by their underarm sweat.